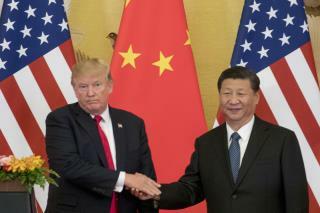 (Newser) – The Trump administration has renewed its threat to place 25 percent tariffs on $50 billion of Chinese goods in retaliation for what it says are China's unfair trade practices, the AP reports. The White House also said Tuesday that it would restrict Chinese investment into the United States and limit US exports of high-tech goods to China. The announcement intensifies the high-stakes trade confrontation between the world's two largest economies. Commerce Secretary Wilbur Ross is scheduled to visit Beijing on Saturday for a round of talks. The White House said it will target the tariffs on cutting-edge technologies, including those that China has said it wants to dominate as part of its "Made in China 2025" program. Under that program, China aims to take a leading role in developing technologies in areas such as artificial intelligence, robotics, and electric cars. The list of imports that will be covered will be announced by June 15, the White House said, and the tariffs will be imposed "shortly thereafter." The list will be based on a previous compilation of 1,300 goods released in April that will be narrowed based on public comments the administration has received. Analysts said the renewal of the tariff threat could disrupt Ross's planned talks in China this weekend. Ross's trip was originally intended to work out the details of a vague promise by China May 19 to increase its purchases of US farm goods and natural gas. Good. I'm not a Trump supporter by any means. But this is one area that I agree with him on and wish he was tougher on China.